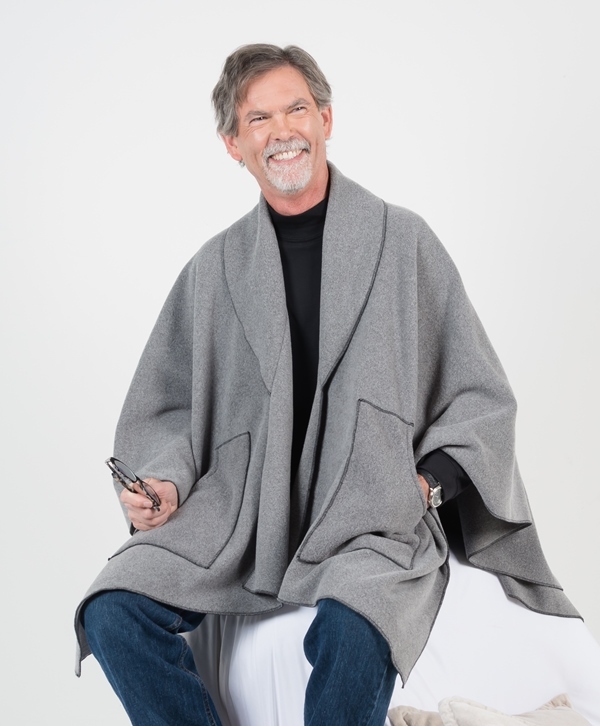 The Janska Wellness Wear Blanket Wrap is a versatile wrap with flattering collar and patch pockets. 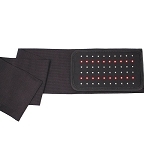 Caregivers will find the unique design allows it to be used as a wrap, a cape or warm covering. 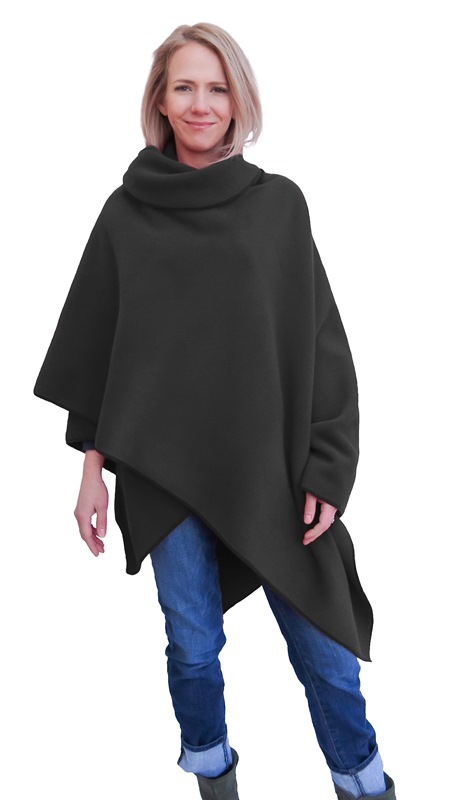 The Janska Wellness Wear Blanket Wrap beautiful oversized ruana cape with elegant collar and large patch pockets provides a variety of uses. 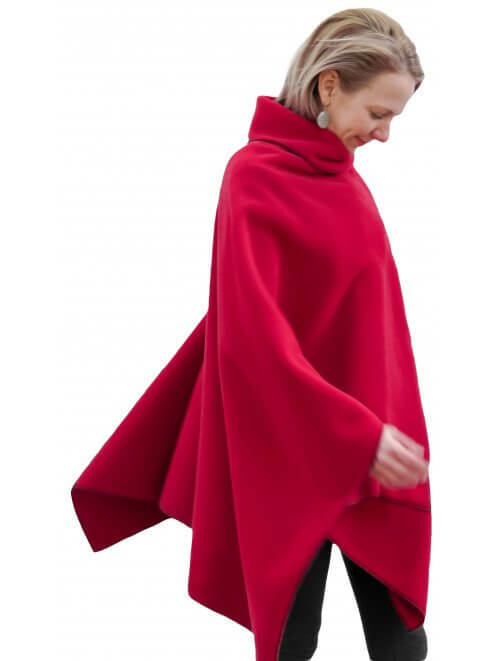 The design allows users to wear it as a wrap, over their shoulders as a cape, or as a cozy fleece blanket cover. The cover features a flattering shawl collar and two large front patch pockets. 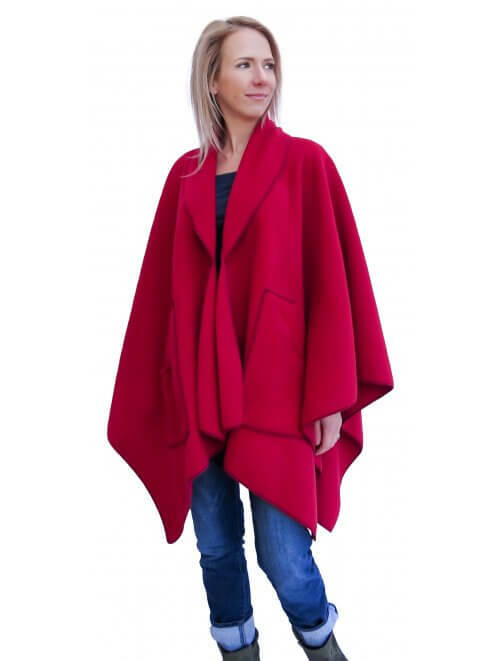 The ruana design is similar to a poncho that is made of a single piece of fabric with a hole for the head, but it also has a slit down the front from neck to hem. The universal size has center back length of 30 inches long. This wrap can easily convert to a blanket when traveling. The 100% polyester soft fleece can be machine washed warm, tumble dry low. 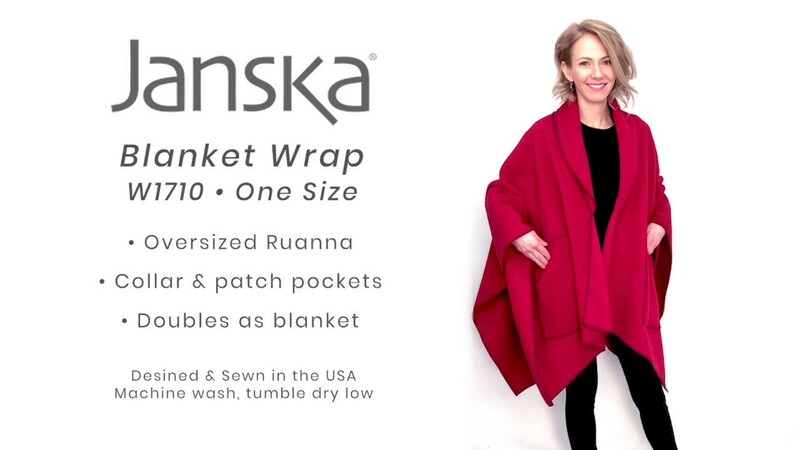 The Janska Wellness Wear Blanket Wrap is available in Red (Gray Heather and Black available by special order). Size: One Size fits most, women’s 6 to 16. Measures: Center back length is 30 inches long. Material: Ultra-soft Polartec no-pill, moisture-wicking fleece.